Do you like adventures? Would you like to hear children friendly stories about a magical Teddy who goes on fun amazing adventures through magical portals of joy, and meets fire breathing dragons with sore dragon toes, lonely bears in caves not sure how to make friends, and naughty little bunnies,? Would you like to know why Teddy played hide and seek with Mr and Mrs Teacup and their 8 mischievous china cup children? Or why the giant pigeons were pooping jelly eggs all over the chocolate houses? What happened when the forgetful marshmallow cloud men forgot something REALLLLY important? This is a fun and yet somehow occasionally educational podcast that helps your child learn left from right and think about right from wrong. Hidden in these stories are ways of dealing with bullies, helping people who need help but won't ask, sharing, caring, not staring, and simply being a good friend. Did you know that if you are truly good and kind, that your Teddy can gain special powers to come alive at night and create a magical portal to adventure in other worlds? Yes! Worlds full of fun and colourful characters. Of jumping in deep chocolate puddles and bouncing on fluffy marshmallow clouds. Of helping new friends and simply being kind. And did you know that sometimes, certain special Teddies can take their kind loving owners on adventures too?! I wonder if your Teddy would take you? Join narrator Sarah Golding and Teddy, with fun seeking kids Luca and Maisie, on some incredibly exciting adventures. There will be A New Episode on Christmas Day to introduce the Stories, and then an episode every 2 weeks from January 2019. HUNDREDS OF CHARACTERS TO MEET IN MANY MANY EXTRAORDINARY PLACES. I would absolutely LOVE any support on Patreon to help keep this all running. This audio fun takes time and planning and I really would love to time and plan some more! 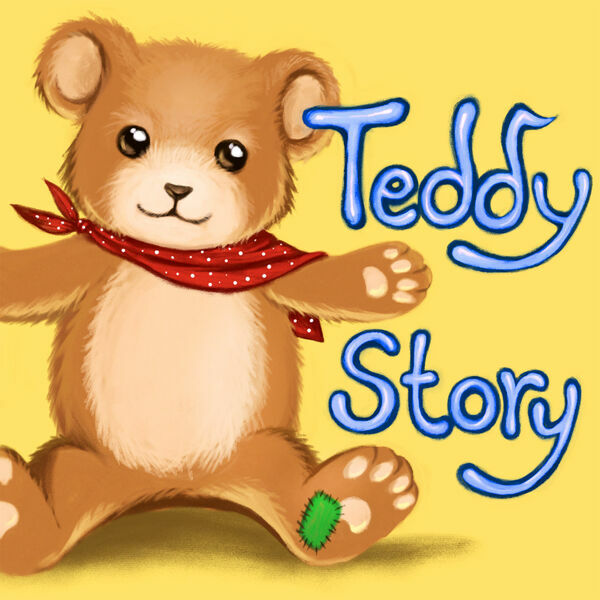 I aim to put TEDDY STORY on its own feed but cant afford that quite yet!